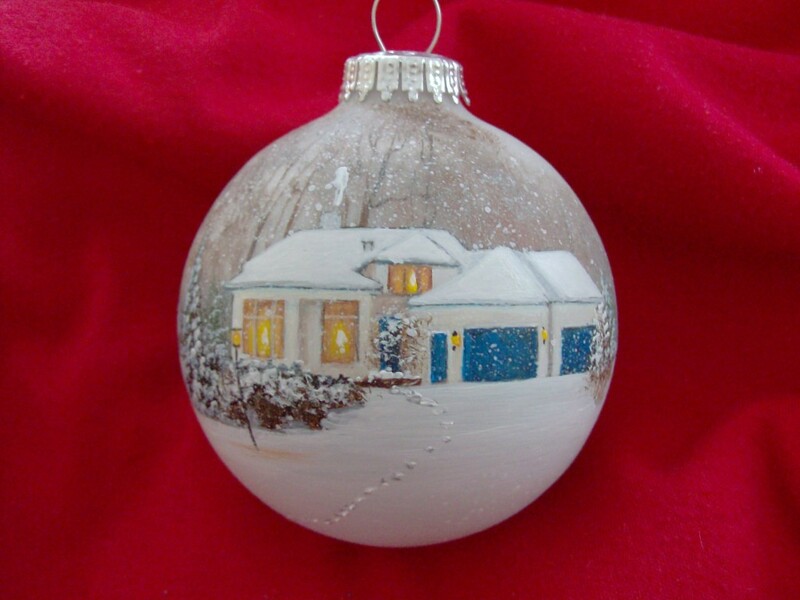 Have Your Home Painted on a Christmas Ornament from a Photo! 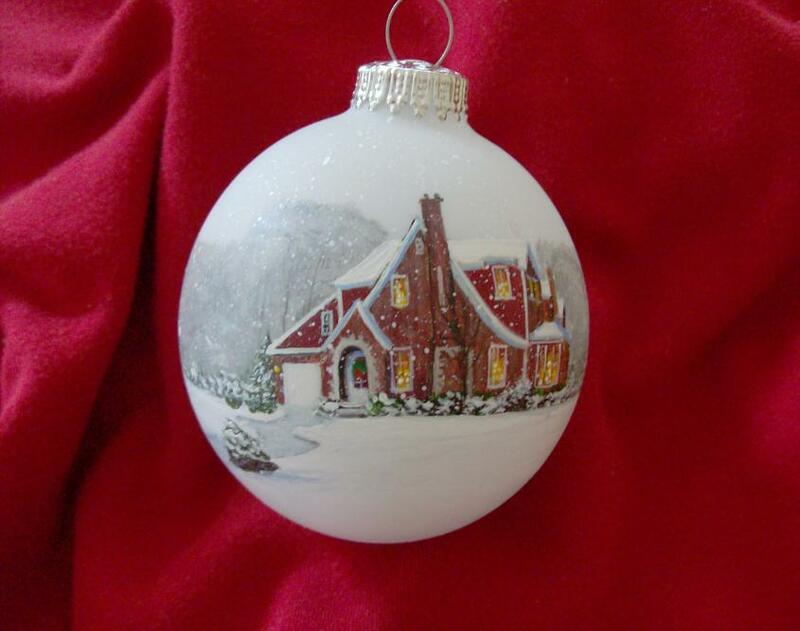 All the ornaments above have been painted from photographs or digital images. 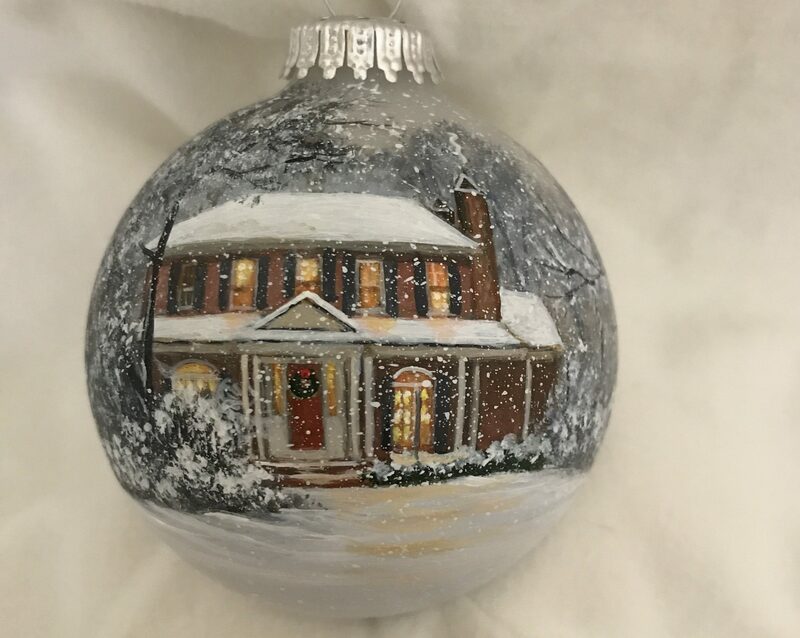 Here is a rare, unique gift that is very personal! 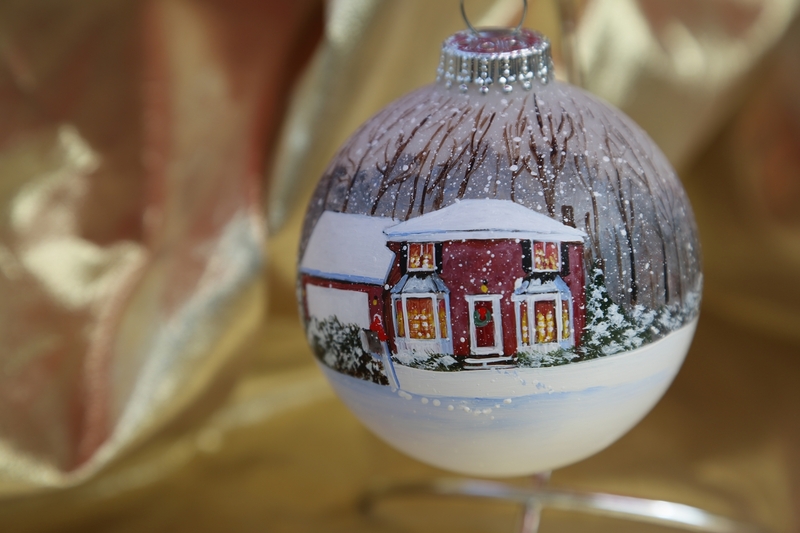 This gift creates a precious memory for your family for generations to come and is a priceless Heirloom. 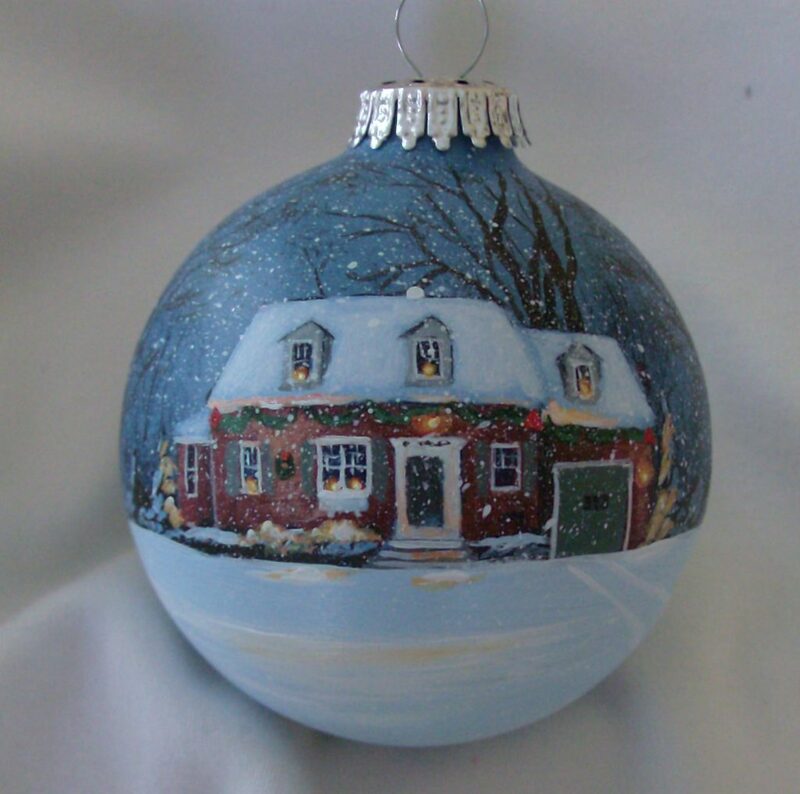 Fill out the order form here. 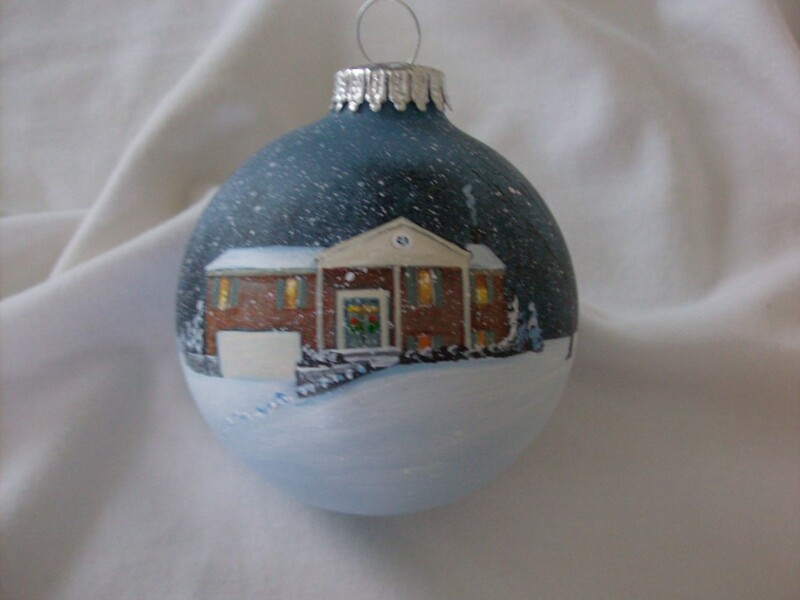 Upload your photo and you'll have your custom ornament in no time. 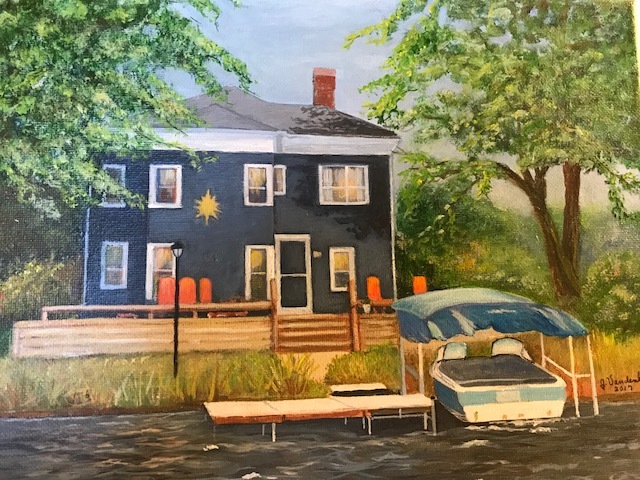 Looking For A Summer Scene? 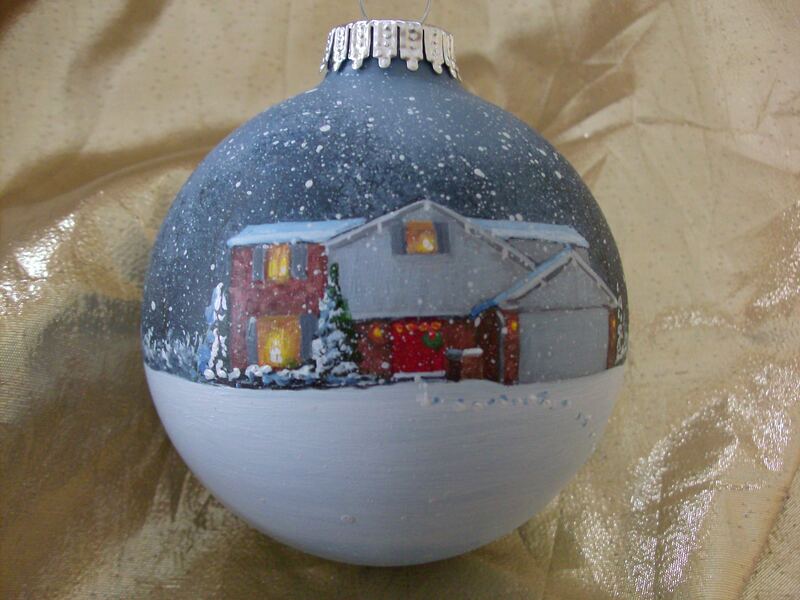 Ornaments are for winter scenes only. 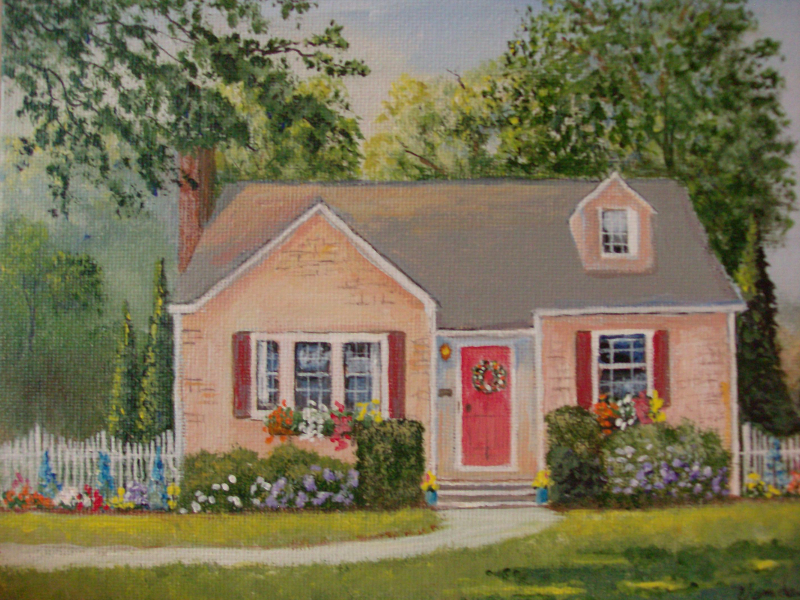 I offer a summer scene rendition of your home on a 5"x7" canvas, unframed. 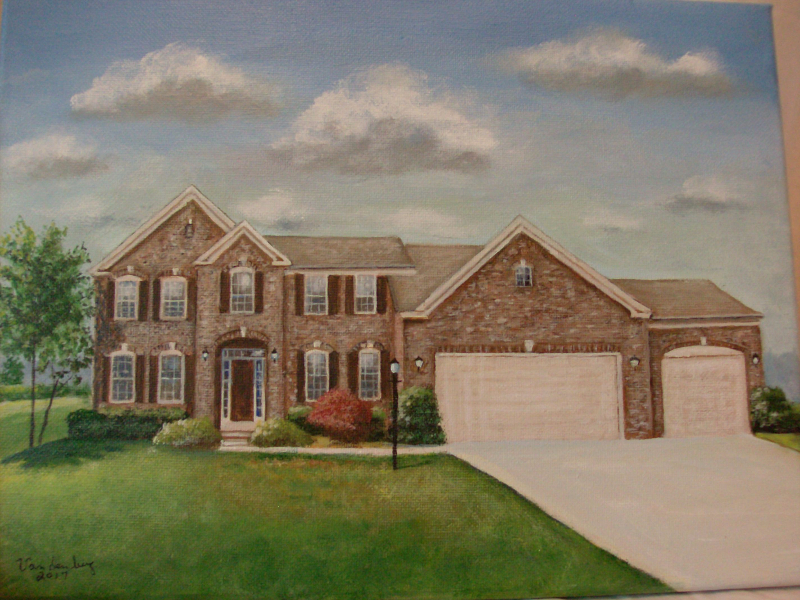 Meet Jessie – Click below to hear the whole story! 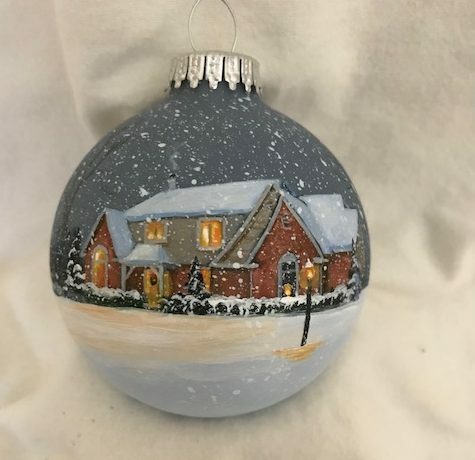 For the past 35 years, Jessie Vandenberg, well known artist in the Midwest, has painted thousands of original art scenes on glass ornaments that depict scenes of homes, churches, lighthouses, landscapes, ’snow kids’, etc on 3 ¼ “ glass balls. 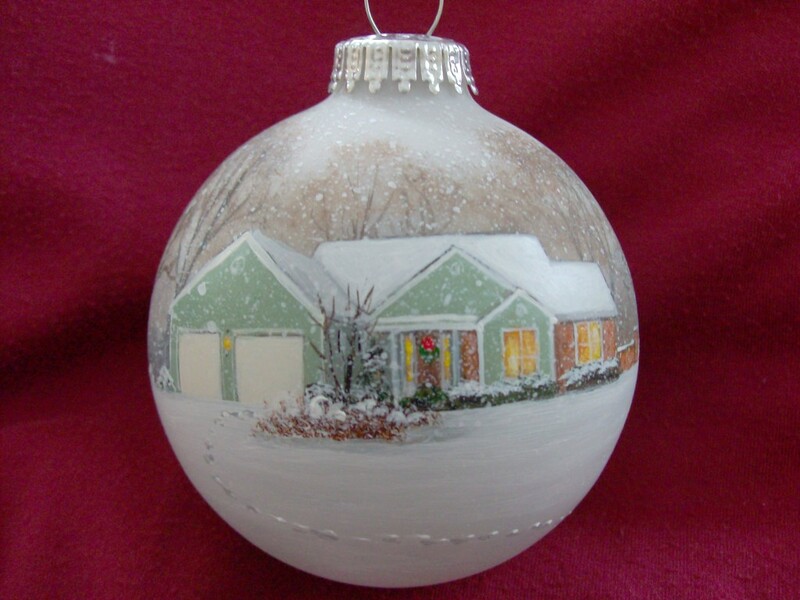 She uses only the finest crafted glass ornament, produced by the Kreb family of Germany for over 55 years. 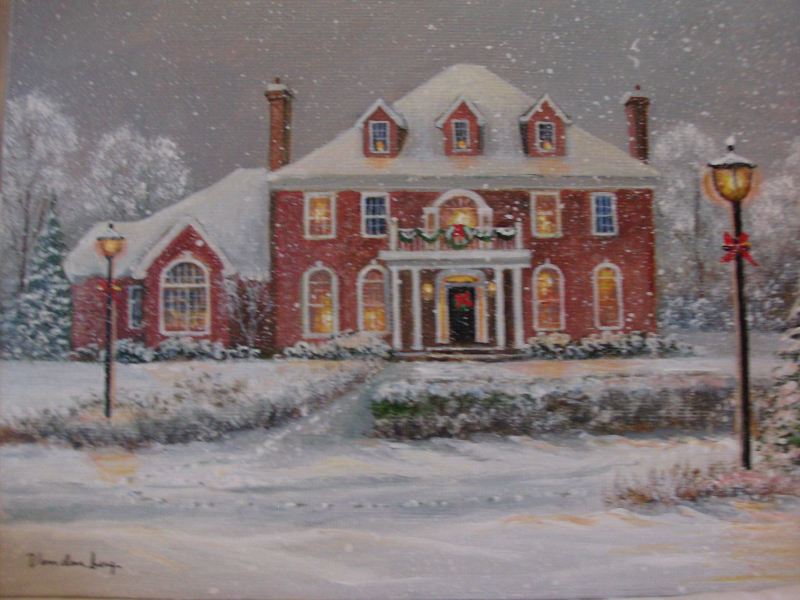 Jessie has the unique ability to paint from a photograph or digital image an exact image of a home or historical landmark. 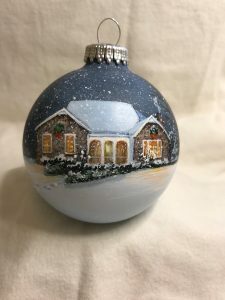 She has painted hundreds of custom ornaments of individual homes, which has proved to be a favorite with collectors from around the country. 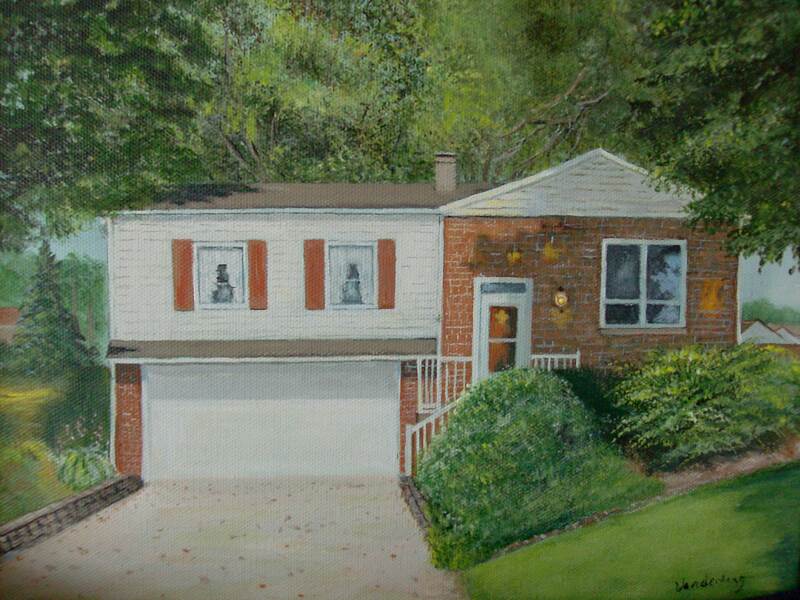 Another collector’s item is her beautiful reproductions of authentic lighthouses from all over the United States.